Last Saturday we went over to a friends house for a pre-Halloween sandwich party and the only requirement was to bring a mask for a group photo. 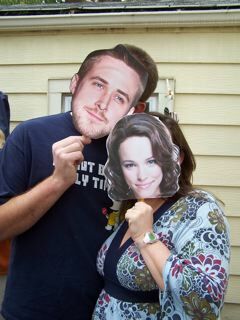 The boys were three clones of Ben Affleck, and Heather and I went as the (now defunct couple) Rachel McAdams and Ryan Gosling. We’re so funny. That’s really cool. But I wonder why the boys weren’t clones of Johnny Depp??????????????? This is funny indeed — especially the Three Affleck’s! 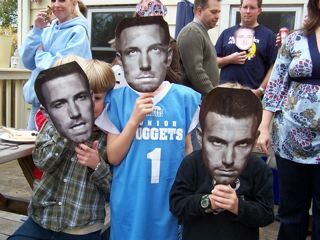 I love Avery “Affleck” peeking out at the camera from behind his mask.